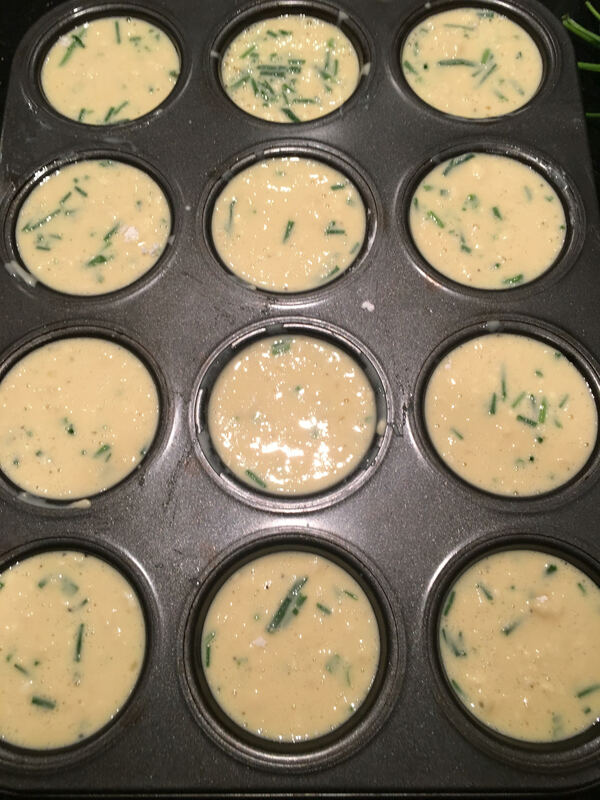 Preheat oven to 450 degrees F and grease a medium-sized, 12-cup muffin tin. In a large bowl, whisk together eggs and milk for one minute, until frothy. Stir in flour and salt. Mix in cheese and chives. Pour into prepared muffin tin, filling each cup almost to the top. Bake for 20-25 minutes, until golden brown. 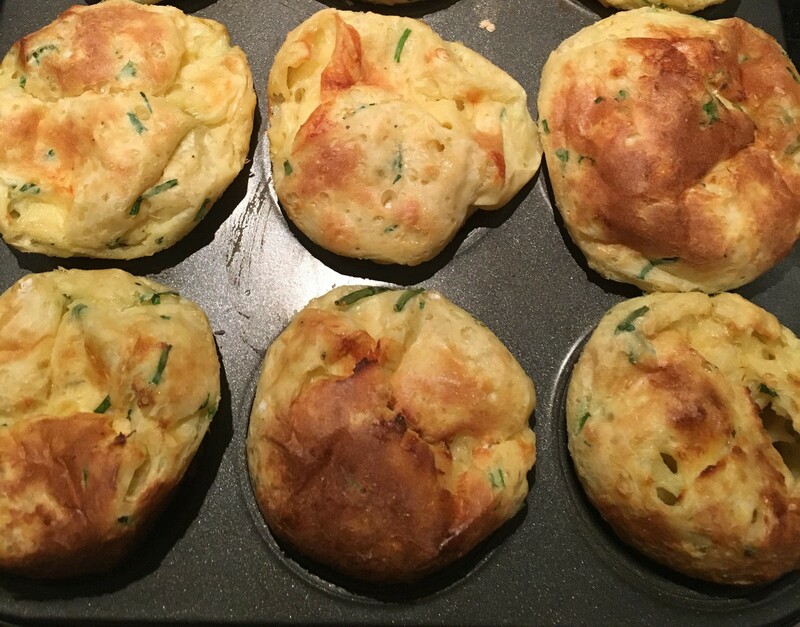 * To prevent popovers from collapsing, use a knife to cut a hole in the side of each popover. *Note: the original recipe calls for baking the popovers for 15 minutes at 450 degrees, then lowering the temperature to 350 degrees and baking for another 20 minutes. Though I somehow managed to misread these directions, I was very happy with the results of the shorter baking time.